Please, note that except you use luxury and up standard service, conditions in Southeast Asia in general are not the same at home. Travel Insurance is compulsory on all Custom Vietnam Travel trips and is a condition of booking with Custom Vietnam Travel. This will not only guarantee you peace of mind while you travel but also covers you for many of the things that can go wrong. Please ensure you have your policy number and emergency telephone number for your insurance company. If this is unavailable please ensure you have the necessary information required by your Insurance company in case of an emergency. Traveling in here is generally safe. Anyway, from our experiences, you should be aware that thing might happen unexpectedly some time. 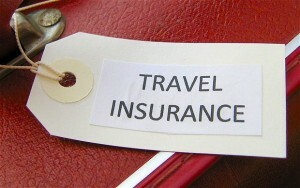 Before booking for travel insurance you should study well all things relate to your travel plan and itinerary. Make sure that your travel insurance will cover all the activities in the itinerary and any optional activity you may take during the trip. The more detailed and clear you learn about your travel destination, the better it is to work out travel insurance policy. Cancellation and curtailment (cutting short your trip due to illness, injury or unforseen circumstances.). You should find out in advance if your insurance plan will make payments directly to providers or if they reimburse you later. Here, except you come to International health care service or those who can make deal with Insurance companies (not always available) you are likely have to pay in cash and get reimbursement later. If you have to claim later, make sure you keep all documentation. Some policies ask you to call back (reverse charges) to a centre in your home country where an immediate assessment of your problem is made. In case of lost or stolen, you have to report to police for investigation and get paper from them. Custom Vietnam Travel will provide you help and advice in resolving matters on sport or dealing with local procedures relate to your case but nowhere liable for any legal matter relate to your claim or deal with Insurance company.